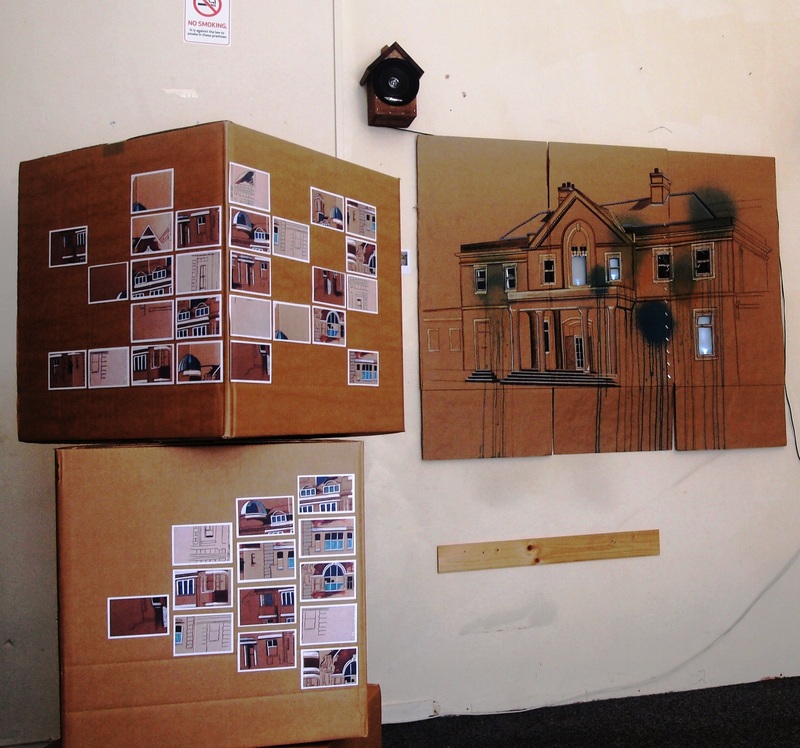 Ruin Nation | Cultura-plasmic Inc.
From 19-21 June, Ruin Nation was shown as part of Doncaster’s arts festival, DNweekeND. 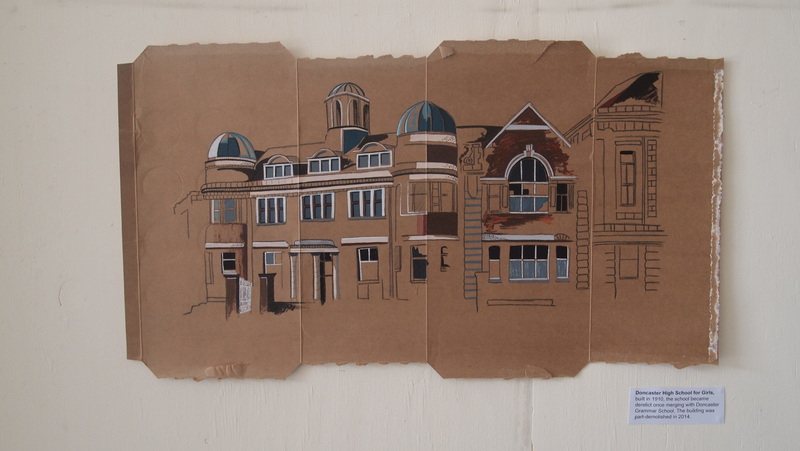 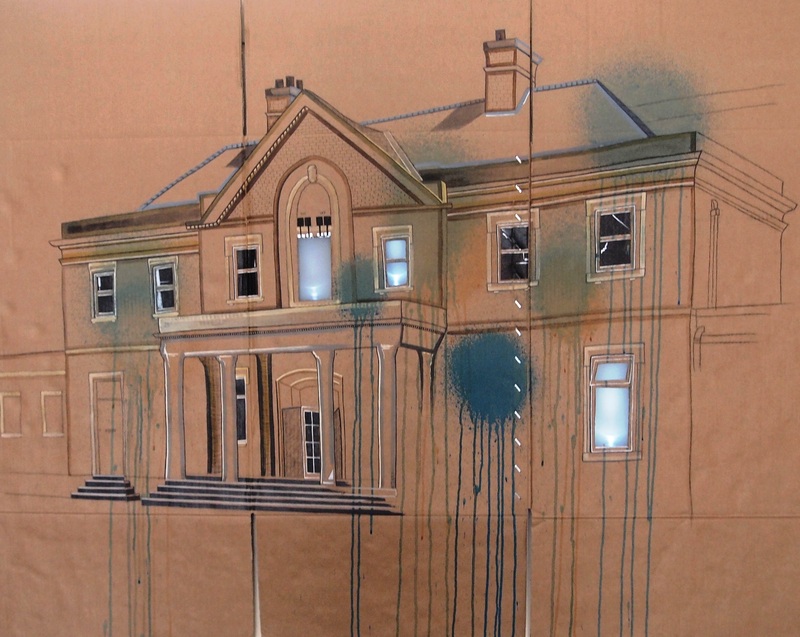 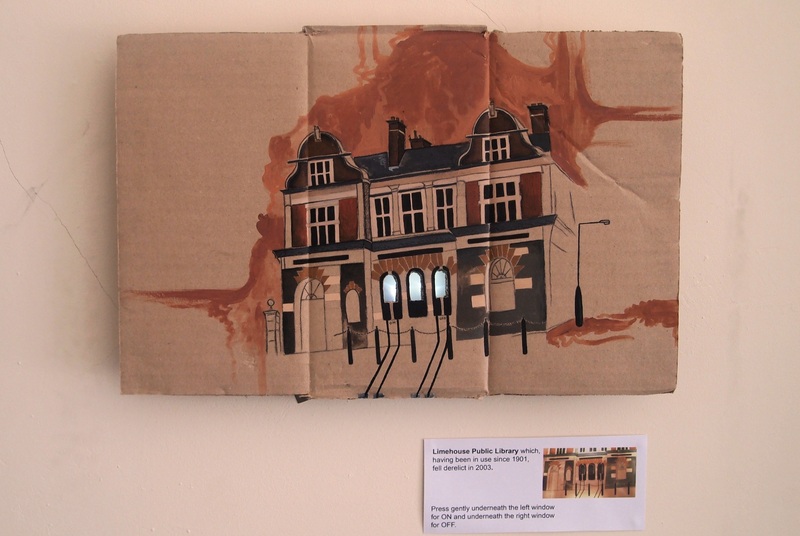 Continuing from the series of artworks depicting empty properties in London, Ruin Nation presented new works showing disused, derelict and abandoned properties in Doncaster, usually with a grandiose exterior, on large sheets of found cardboard. 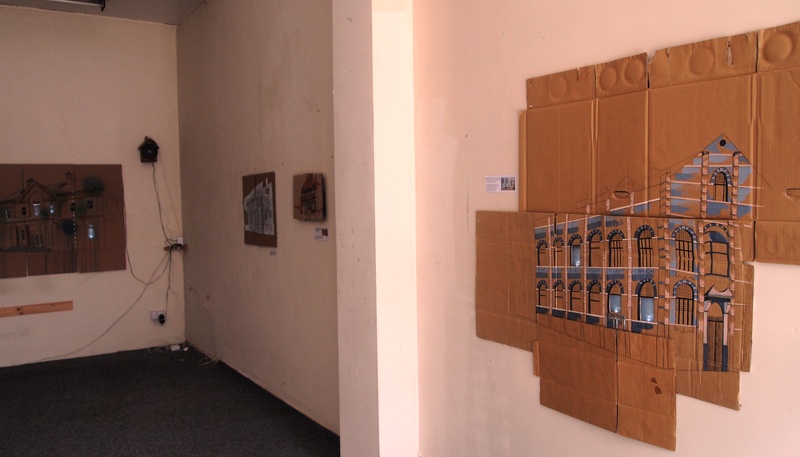 The cardboard is fitted with electronic circuits meaning that when a viewer places their fingers on the indicated areas, they can switch the lights on inside the buildings and create the illusion that they are occupied. 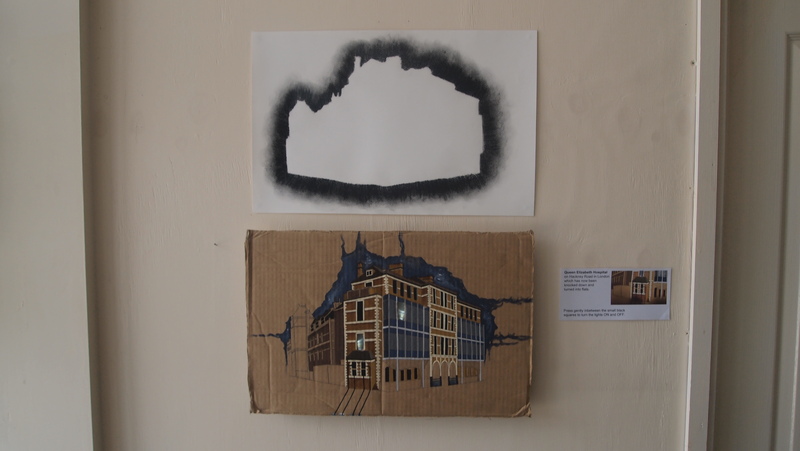 There are 1.5 million empty commercial and residential buildings in the UK and 110,000 homeless people – that’s around 13 empty buildings per homeless person.